Stainless Steel Stacking Lunch Bowls Just $9.99! Down From $18! You are here: Home / Instagram / Stainless Steel Stacking Lunch Bowls Just $9.99! Down From $18! These are so cute! Groupon has this Stainless Steel Stacking Lunch Bowls on sale for as low as $9.99 down from $17.99! These lunch bowls has seal-tight lids that prevent spills while keeping food fresh with ventilation. 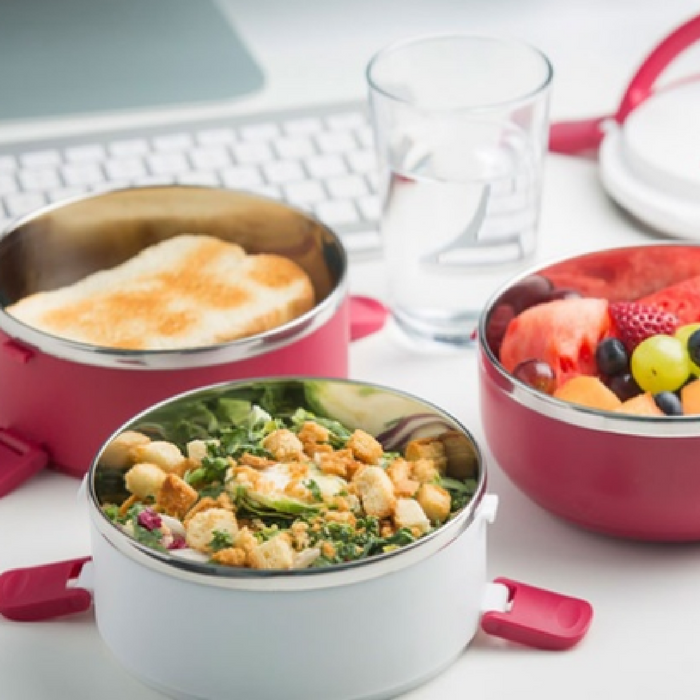 It has a stacking design for carrying multiple types of food at once, from soups to salads. It’s great for taking to school or the office.